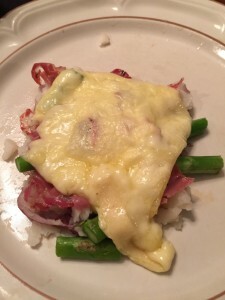 I noticed that I talk a lot about raclette but never posted about how to raclette the most common way! WIth a raclette grill. There are a variety of models. They all come with a number of little pans (usually 4-8) that go under a heating element to melt the sliced raclette cheese (or any other melt-able cheese). 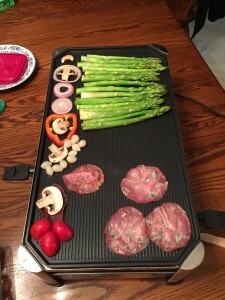 On top of the heating element is a grill top (non-stick coated aluminum, cast iron, or granite stone) that allows to grill small pieces of meat, chicken, vegetables, fruit and more. 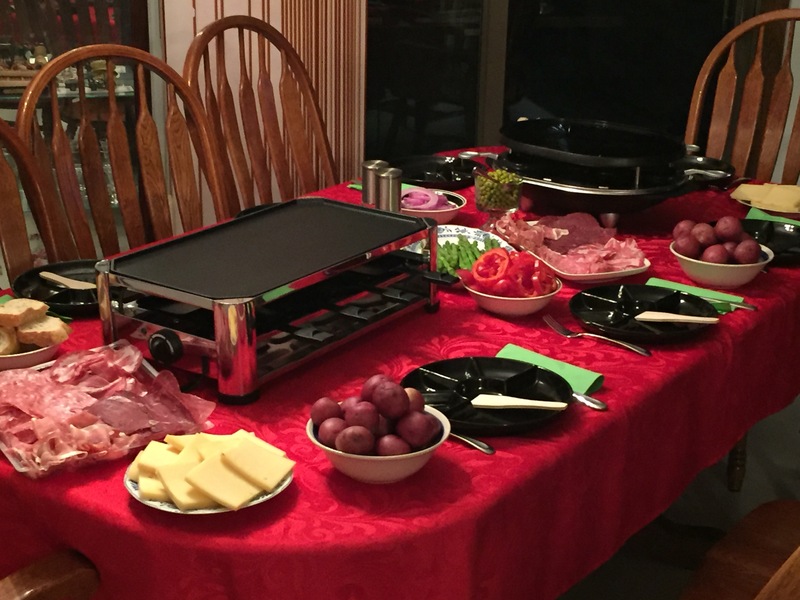 Raclette is a traditional Swiss cheese dish that has become more popular in the last few years in the US. Everything that is being served can be prepared (cut, maybe marinated) well ahead of time. When it is time to eat everybody ‘cooks’ their own dinner by selecting the grilled goods and scraping delicious melted cheese over it. 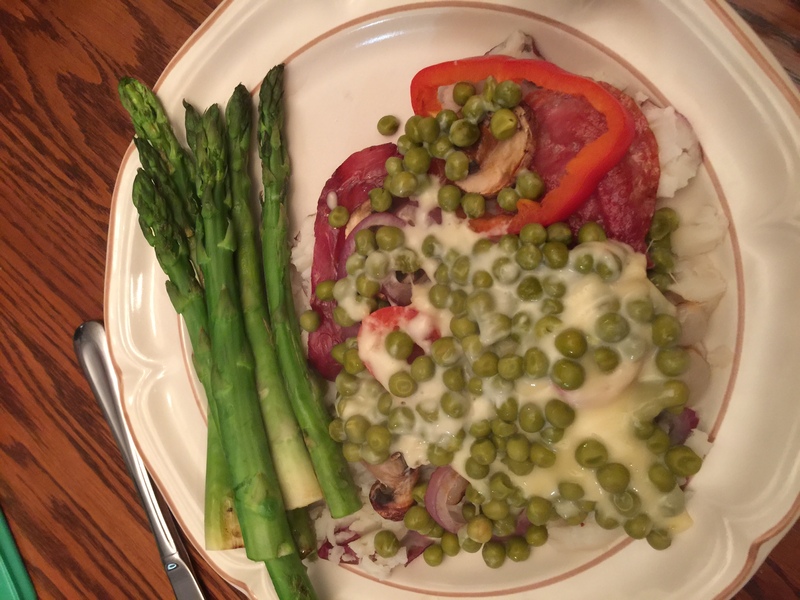 This particular dinner party served the traditional boiled potatoes and cheese, a variety of vegetables (asparagus, red pepper, onion rings, peas and mushrooms) and to complete the meal they served Buendnerfleisch, a traditional air-dried beef, Italian salami and prosciutto. I hope the following pictures will make your mouth water. I know I have to get my grill out tonight! 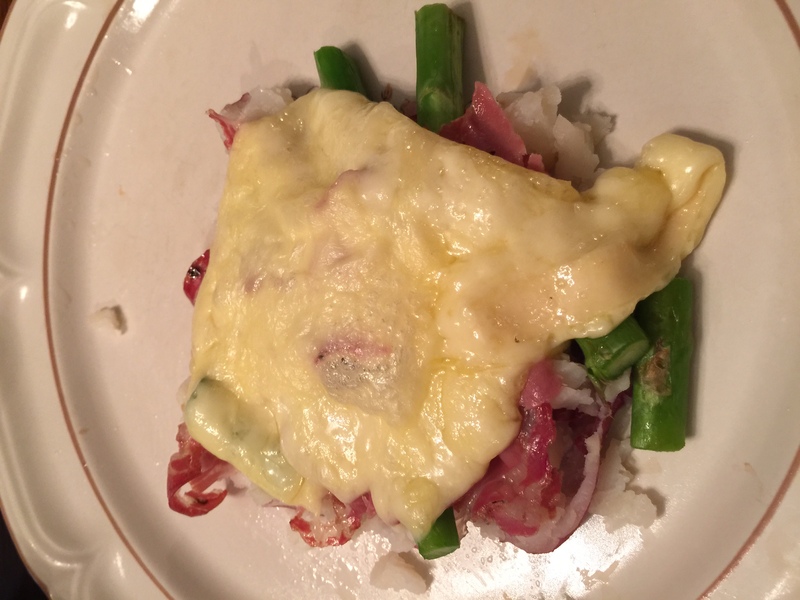 I did not add a recipe to this post because there is no right or wrong way to raclette. Whatever you feel might taste good together works. 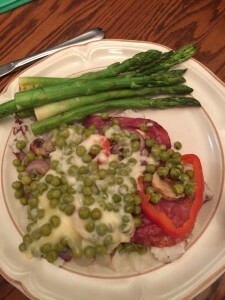 The peas mixed with the cheese were new to me and I will try that next time! 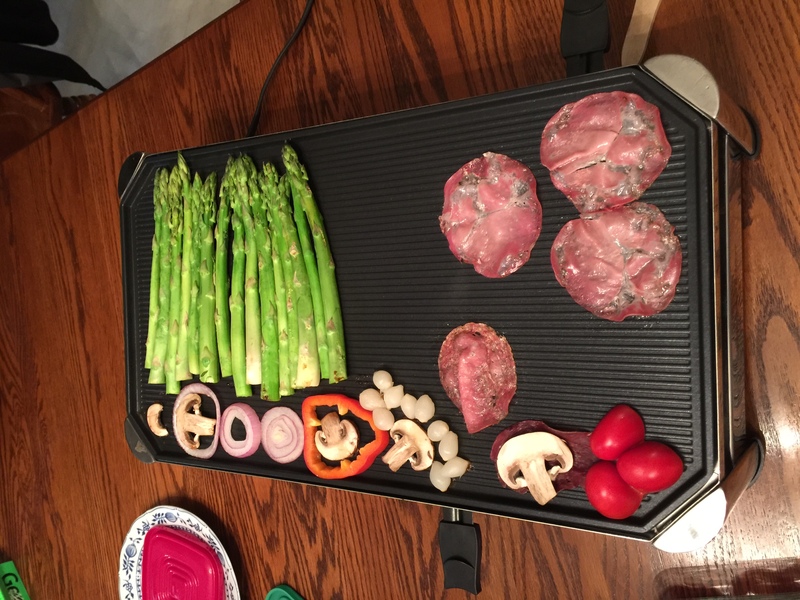 There are countless ways to enjoy the raclette. The most important ingredients are your dinner guests to enjoy this wonderful meal with! 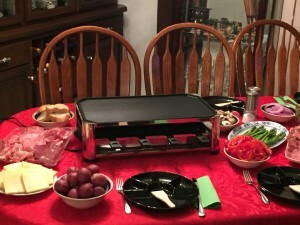 If you are interested in learning more and even consider to purchase a raclette grill for yourself please visit www.RacletteCorner.com.